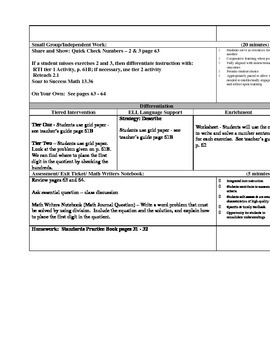 This is a division lesson plan for 2.1 of the Go Math! program for grade 5. The lesson covers placing the first digit in the quotient. The math common core standard that is addressed is CC.5.OA.1.